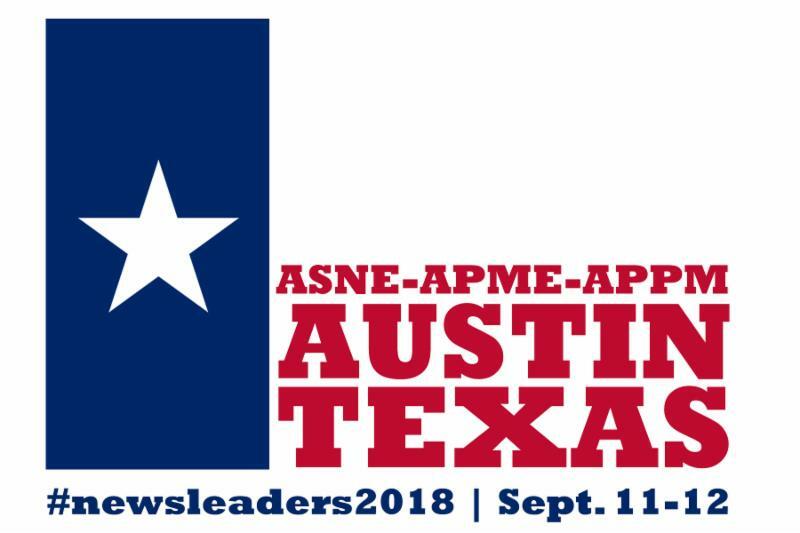 Join us Sept. 11-12at the ASNE-APME News Leadership Conference in Austin, Texas, where you will be inundated with tips and advice on how to lead your newsroom in 2018 and going forward. 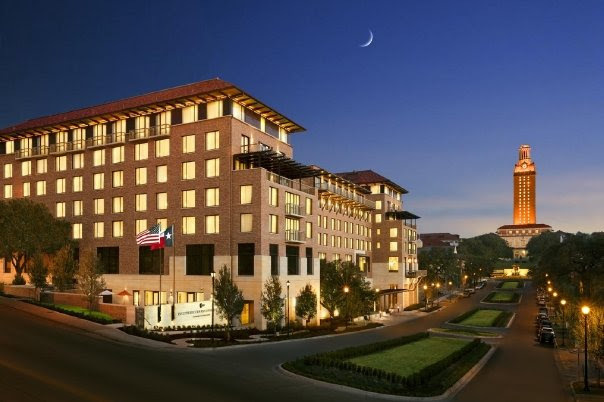 For two full days at the AT&T Executive Education and Conference Center,the conference will cover the latest innovations in content and technology, leadership strategies, new business models and more. Register and book your hotel room early before our block sells out! Our conference schedule is live! It is being updated daily, so check back often.This interactive schedule is easy to navigate through a number of sessions we have planned to get you fully equipped with actionable items you can take back to your newsroom. The program is planned and organized by ASNE-APME Conference Program Committee Co-Chairs Bill Church of GateHouse Media and Emilio Garcia-Ruiz of The Washington Post. The committee includes Colin McMahon of the Chicago Tribune, Sandra Clark of WHYY and Traci Bauer of The Journal News, and Adviser Jim Simon of Honolulu Civil Beat. What are the best solutions that have emerged from the Table Stakes/Lenfest effort across all newsroom sizes? What did they learn? How are the newsrooms evolving? What are the early wins in terms of audience, workflow and realignment of traditional structures? The project has moved into addressing the needs of smaller newsrooms. How have they progressed? The release of the annual ASNE diversity survey. We will examine the representation of diverse backgrounds/experiences in newsrooms and news coverage. We will pair strategies, tools and tactics with results of the diversity survey to give you guidance on how to lead your newsroom in this critical area. 4. Innovation Track: Does Local Opinion Still Matter? Democrat & Chronicle: 40-year mystery: Where were the police when mobster 'Sammy G' Gingello was murdered? The News & Observer: NC inmates died when jailers weren't watching. Critics say these fixes aren't enough. The Tennessean: Special report: State investigated abuse involving 460 Tennessee schools. Was your child's one of them? One fewer public editor: Not needed anymore, or needed more than ever? Les Gehrett, a former sports editor for the Albany Democrat-Herald, is the new editor of the Lebanon Express. Gehrett, 48, replaces Matt Debow, who resigned to take a job at the Gresham Outlook, a twice-weekly newspaper. Debow worked for the Express for seven years. Gehrett served as sports editor for the Democrat-Herald for 10 years, from 2005 to 2015. Before that, he was a general assignment reporter and feature writer for the Democrat-Herald for eight years, covering sports, Linn County government and police and fire. Most recently, Gehrett worked as a skills trainer for Trillium Family Services. "I'm very excited to return to local news and i look forward to becoming more involved in the Lebanon community,' Gehrett said. A journalist whose reporting has ranged from hyperlocal coverage of Michigan suburbs to the Iraq War and whose editing has spanned the evolution of print and digital editions has been named executive editor of the Columbia Missourian. Ruby L. Bailey, a local news editor at the Sacramento Bee, will begin her new role on July 1. She will be the first woman to lead the Missourian’s coverage in the newspaper’s 109 years. “I’m very excited to be a part of the Columbia community but also the Mizzou community,” said Bailey. “This is an awesome responsibility, but also a privilege to represent the industry I love and to help students prepare to take the baton and take over. In addition to holding the title of executive editor, Bailey will hold the Missouri School of Journalism’s Missouri Community Newspaper Management Chair. In that role, she will work with community newspapers across Missouri to help improve their coverage and operations. Bob Davis, publisher and editor of The Anniston Star, has announced his resignation. Davis came to Consolidated in 2003, and has been The Star’s editor since 2006. He took on the role of publisher in 2016. He’s leaving to become executive director at High Plains Public Radio, a network of stations serving communities in Colorado, Kansas, Nebraska, Oklahoma and Texas. Josephine Ayers has been named The Star’s publisher, while Anthony Cook becomes executive editor of The Star and the other newspapers of its parent company, Consolidated Publishing. Ayers has served as chairman of Consolidated Publishing’s board of directors since January. She has also worked as editor in chief of the lifestyle magazine Longleaf Style, which Consolidated published from 2008 to 2015. As publisher, Josephine Ayers will oversee The Star’s editorial and business operations. Former Associated Press photographer Russell McPhedran, whose balcony photo of a hooded terrorist at the 1972 Munich Olympics became one of the iconic images of the 20th century, has died after a heart-related illness. He was 82. McPhedran, who was inducted into the Australian Media Hall of Fame last November, worked at the Sydney bureau of the Associated Press from 1985 until his retirement in 2003. He was the longest-serving photo editor at the Sydney bureau of the AP. "Few photographers take a picture powerful enough to enter the permanent consciousness of a nation, let alone become instantly recognizable around the world. Russell McPhedran, or Russ as his mates call him, has a clutch of them," friend and former colleague Michael Bowers said in writing a tribute for McPhedran 's Hall of Fame induction. WASHINGTON (AP) - Carl C. Craft, a retired Associated Press reporter and editor who covered government and politics in Washington for more than two decades, died recently after suffering head injuries in a fall. He was 79. He wrote a weekly "Status of Legislation" column on bills working their way through Congress. "He was surprised and pleased to find one week that a Tennessee paper had led its Sunday edition with his compilation," Furlow recalled. On big election nights, he would track which states were won by each candidate on tote boards to keep the newsroom informed. During almost three decades in the Star Tribune newsroom, Martha Sawyer Allen cut a blunt, no-nonsense figure particularly as a religion writer lending insight and asking tough questions as she covered bruising upheavals in local congregations. Martha had so many facets to her, said Allens friend and one-time source Marilyn Chiat. Whatever role she was playing, she played it to the fullest. Chris Stadelman, a longtime West Virginia newspaper editor who became chief of staff for former Gov. Earl Ray Tomblin, has died. Stadelman 48, had battled cancer the past several years. Stadelman, whose brother Matt and sister-in-law Lisa reside in Beckley, had been open about his battle with cancer, speaking about the importance of colorectal cancer screening both as a government official who could shape the public agenda and as someone going through a struggle. In addition to his many years of work at The Charleston Daily Mail, Stadelman and his wife Kelly owned and ran the Parsons Advocate in Tucker County. He and Kelly also owned Stadelman Consulting, a public relations firm. Last year, he was inducted into the School of Journalism and Mass Communications Hall of Fame at Marshall University, an event that also served as a celebration of his life. BRISBANE, Australia (AP) - Peter O'Loughlin, who helped cover the closing days of the Vietnam War for The Associated Press and was founding president of the Foreign Correspondents' Association of Australia, has died after a long illness. He was 78. O'Loughlin was an experienced foreign correspondent who worked across Southeast Asia before going on to document the historic days when South Vietnam's cities fell to communist forces. In his home country of Australia, he commanded respect for his push to give the world press greater access to government leaders. "Years later, he never failed to choke up recalling that dreadful story," former AP and Newsweek correspondent Carl Robinson said. In this April 1, 1975, photo taken by Peter O'Loughlin, a cargo net lifts refugees from a barge onto the SS Pioneer Contender for evacuation from the fallen city of Da Nang. Freighter took eight hours to load some 6,000 refugees. Just days later in Saigon, later renamed Ho Chi Minh City, O'Loughlin covered the crash of a flight carrying orphaned babies as part of "Operation Babylift," the name given to the mass evacuation of children from South Vietnam in the final days of the war. When Saigon finally fell to the North Vietnamese on April 30, 1975, O'Loughlin was at the U.S. air base in the Philippines, where the last helicopters out of the city landed, Robinson said.